A Saskatoon woman with late-stage cancer will be getting the wedding of her dreams thanks to the help of an Edmonton start-up and donations from more than a dozen local businesses. Megan Wolfe, 28, met her partner Josh Melnyk, 32, four years ago at a doctor's office, the Edmonton Journal reported. 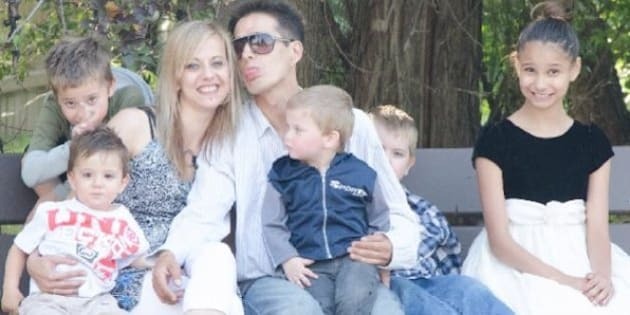 The couple was saving money for a wedding, while raising their twin toddler boys and three other children when they received some unimaginable news in February. Wolfe was diagnosed with stomach cancer and told she only had a year to live. “What was your dream Megan? I asked her. ‘I want to get married one day’ she said. So I thought, yeah, I’m going to get that done,” Shantell Scragg, Josh's cousin told the Huffington Post Canada. Scragg's aunt, a reverend, was going to marry the couple and they were able to find a donated wedding dress. Friends and family rallied around the family. Scragg, began an online campaign this summer to help raise money for a wedding as well as health care costs and specialist's visits for Wolfe. "The dream is to get married & create memories to last a life time. We are looking to get enough funds together to have a small wedding ceremony with close family & get pictures the kids will treasure forever," Scragg wrote on the couple's fundraising page. "As we sat with them, we heard their story and saw the tears in their eyes as they spoke about how much they loved each other and wanted to get married in front of their children. It was an easy decision to offer to help give them the beautiful wedding they so deserved. We want to bring some happiness into this family’s life, but we need your help. As a start up business, our resources are limited too, so we are reaching out to community members and local businesses who have the heart and the means to help us create a magical day for Megan and Josh." Their campaign ended up collecting more than a dozen donations from businesses around Edmonton — everything from a wedding cake to dinner for the couple and 30 of their friends and family. "It didn’t take much once we started reaching out," Block told HuffPost. "Most of them were onboard as soon as they heard the story. They didn’t think twice." He added: "We hope it’ll get people to take a moment and think about what they can do to help other people." Megan and Josh will be married on Wednesday. Shantell, the cousin who helped make Megan's dream come true, will be the maid of honour.